The Internet of Things, whether you like it or not, is here. Expanding the online world from computers, phones, and tablets into a world of wearables, toothbrushes, and more can sound like information overload, but one industry could really benefit from it. The $69 billion dollar golf market has plenty of people that are more than willing to shell out some of their income on a product that could save them some time and improve their game. One of the biggest pet peeves of golfers is slow players looking for golf balls, and there is an estimated 300,000 lost golf balls each year in the US alone. 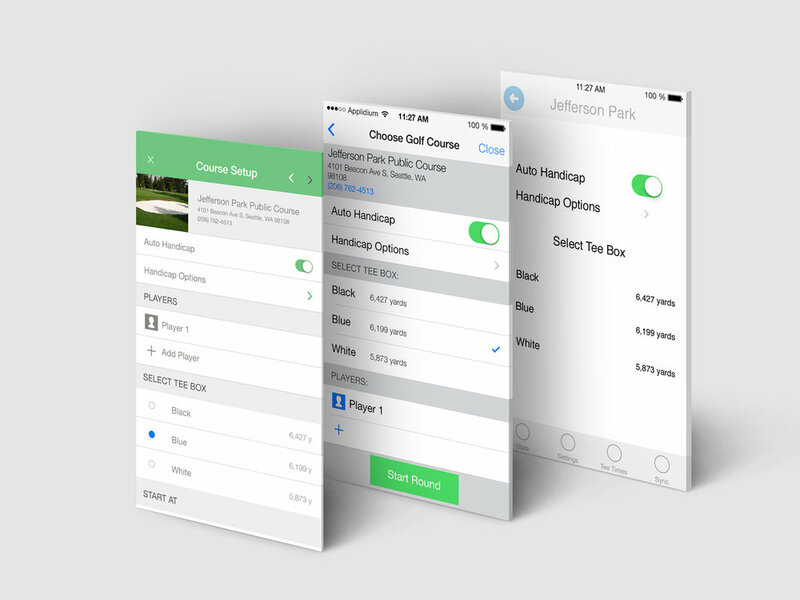 In the winter quarter of our senior year at Seattle Central Creative Academy, my colleague Kevin Gangi and I designed an innovative GPS solution for golfers. This is a brief case study of our process, and a showcase of our work. Although we have received many inquires about purchasing the product, this is just concept work and the hardware and software for the project were never actualized. For a number of reasons, we have made the decision not to produce the ball. Thanks for looking. 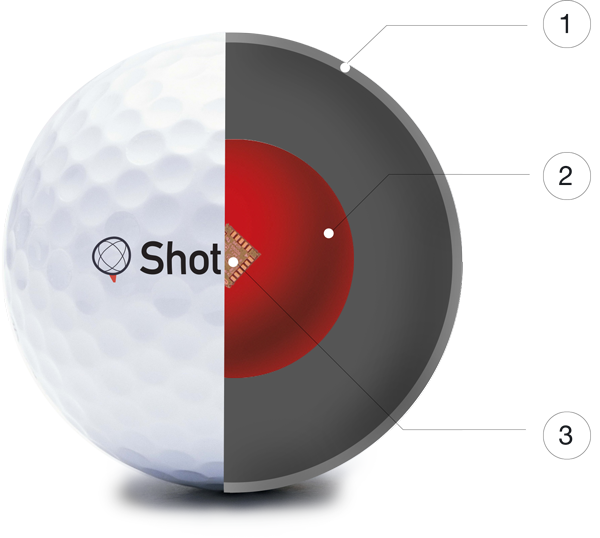 The Shot Genius golf system uses state of the art technology—tiny GPS sensors inside of golf balls—plus proprietary surveying technology to create the world’s first GPS golf ball. 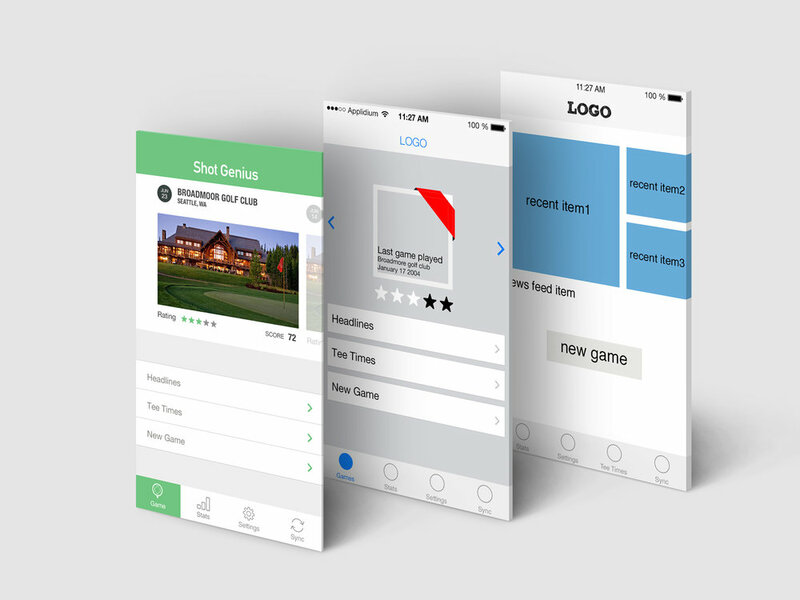 The golf ball communicates with a user’s smart phone to track location of balls, analyze swings, and keep score. This combination can create the perfect companion for any type of golfer, whether they play 49 rounds a year or 4. The ball itself is made up of a variety of modern polymers and a great 3 layer construction that any golfer would appreciate. The $69 billion dollar golf market has plenty of people that are more than willing to shell out some of their income on a product that could save them some time and improve their game. One of the biggest pet peeves of golfers is slow players looking for golf balls, and there is an estimated 300,000 lost golf balls each year in the US alone.